Lake Effect's Mitch Teich speaks with the late Martin Jack Rosenblum, rock professor at UWM and Harley-Davidson historian. Note: The memorial for Dr. Rosenblum has been changed to a new location on UWM's campus - the Helen Bader Concert Hall in the Helene Zelazo Center for the Performing Arts. Noted Milwaukee rock and roll and Harley Davidson historian Martin Jack Rosenblum died over the weekend. He was 67. 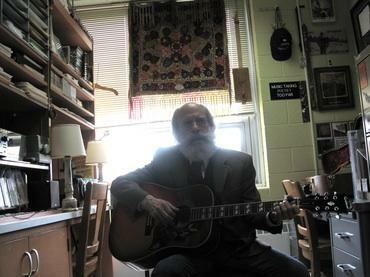 He was the founder of UWM’s certificate program in rock and roll studies, launched in 2011. “I started to realize that this thing we call rock and roll was certainly moving into a different artistic realm and very obviously moving from low to high culture and academia was not dealing with it,” Rosenblum told UWM's Media Milwaukee in 2012. Rosenblum has gained a reputation around UWM as not only a hands-on and enthusiastic professor, but also the cool professor. He can be spotted around campus in his round Lennon-style glasses, smoking hand rolled cigarettes, and wearing a black blazer even on the hottest of days. UWM graduate student Graham Marlowe says he often wonders where Rosenblum finds the energy to carry on the way he does. “He was well into his 60's and yet he walked and talked like a still-hip sage from outer space,” Marlowe says. Marlowe also noted Rosenblum’s unique teaching style. “Instead of the traditional, pre-packaged boredom of ‘do readings, come in and listen to me disseminate the readings for you in a prescribed way’ classes, Marty ran his wide-ranging lectures like improvisational jazz performances,” he says. He was also a prolific musician and songwriter, known as the "Holy Ranger." He served as a mentor and inspiration to many Milwaukee musicians and academics alike. Rosenblum also served as historian for Harley-Davidson, and was the author of 20 books of poetry and more than a dozen CDs of original songs, including Walking Through, on which he sings and plays both guitar and harmonica. A memorial for Rosenblum will be held this Thursday, January 16, at 3 PM at the Helen Bader Concert Hall in the Helene Zelazo Center for the Performing Arts. 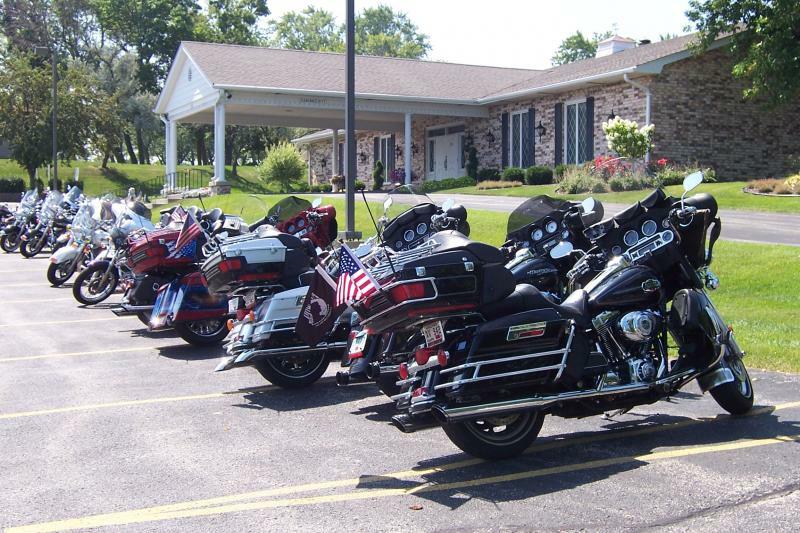 Drive anywhere in Milwaukee starting Thursday and you’ll surely spot a motorcycle or two. Harley-Davidson’s 110th anniversary celebration begins. 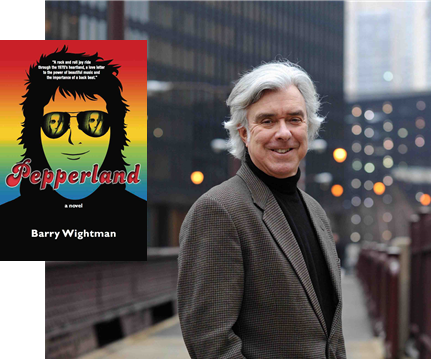 Lake Effect's Mitch Teich interviews author Barry Wightman. Among other revolutions, the early 1970s saw the dawning of one age – the computer revolution – and the sunset of another – an age of innocence in the rock music industry. 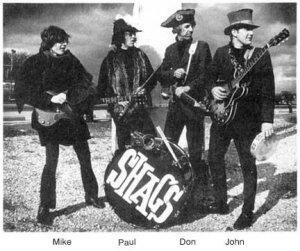 Why Do We Love the Racket of Garage Bands? Lake Effect's Bonnie North interviews Dr. Peter Roller, an ethnomusicologist at Alverno College. Starting at adolescence, kids start looking at popular icons for inspiration. They want to grow up; they want to have independence and control. One popular way, especially among boys, is by forming garage bands. Dr. Peter Roller, an ethnomusicologist at Alverno College and the author of Milwaukee Garage Bands: Generations of Grassroots Rock, delved into the garage bands that made so much noise in Milwaukee.